Did you know that on the new Website of A&B TORNERIA AUTOMATICA you can find updated price of Italian brass producers? 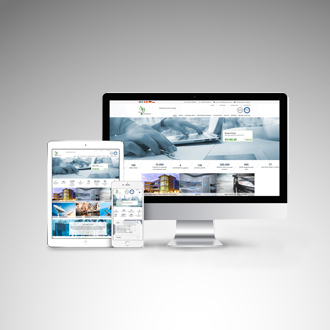 Our new website is ready and we invite you to visit it. Briefly, to introduce ourselves, we are specialized in the development and global supply of precision turned parts. Our organization is fully adapted to market demand, allowing us to supply many of the most prestigious companies in the sector all over the world. Key in this process are our two production facilities, the first A&B Torneria established in 1997 in Italy, and the second T&R recently acquired, based in Poland. Dynamism, passion for small turned parts and experience are the main factors, which allow our group to consolidate and grow constantly in our existing B2B markets, but also to undertake new challenges. We have a pool of technologically advanced machinery and a team of highly qualified staff; we take care of every phase of manufacture, from the entry of raw materials to the acceptance of orders, right through to delivery of the finished turned components. A&B Torneria, our main headquarters and the nerve center for research and development in production processes of machining parts. Located in Brescia, near our main suppliers of raw materials, this gives us a commanding flexibility in supply times. T&R, our Polish production of turned components benefits not only from its strategic location in the heart of western Europe, which makes it another important logistics hub, but also from its specialized local workforce, which allows us to participate in more complex projects involving precision turned components.